Oceania Cruises will return to the Alaska from May through mid-August 2013 after a one-year hiatus. The line is adding some departures from Seattle. 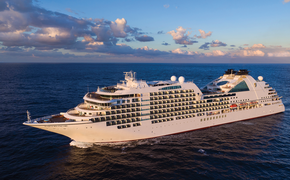 In addition to two-for-one cruise fares, free air and bonus savings of up to $3,500 per stateroom, Oceania is offering two-for-one savings on its new Unlimited Passport Collection package. The tour package promotion, which has a value of up to $999, is available to guests who book an Alaska cruise by June 30. There are seven itineraries of seven, nine and 10 days. The cruises will be operated by the 684-guest Regatta.